Check out this list of the 10 best horror movies picked by IGN. 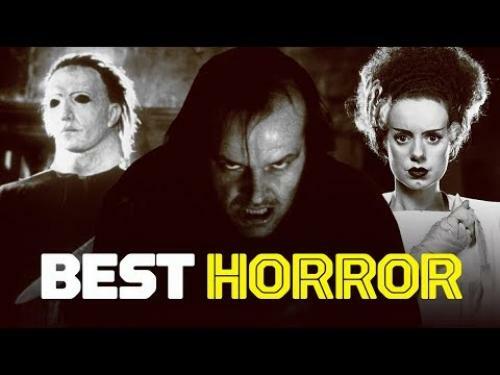 IGN selected these films including classic horror movies, and although it is an excellent selection of horror movies, there is not one modern horror movie in the bunch. This list does contain many horror films that many true horror fans have already put a notch on their belt. Official Synopsis: Barbra and Johnny visit their father's grave in a remote cemetery when they are suddenly set upon by zombies. Barbra manages to get away and takes refuge in what seems to be an abandoned farm house. She is soon joined by Ben who stopped at the house in need of gas. Beset by the walking dead all around them Ben does his best to secure the doors and windows. The news reports are grim however with creatures returning to life everywhere. Barbra and Ben are surprised when they realize there are 5 people hiding out in the basement: Harry, Helen and Karen Cooper; and a young couple, Tom and Judy. Dissensions sets in almost immediately with Harry Cooper wanting to be in charge. As their situation deteriorates, their chances of surviving the night lessen minute by minute. Official Synopsis: Ashley Williams travels to a secluded cabin in the woods with his girlfriend Linda where they find a tape recording of a professor and a book of evil. This unleashes a bunch of evil spirits that constantly terrorize Ash. Meanwhile a journalist comes to the area to study the book of evil. Ash and her end up having to survive this swarm of evil until morning comes. Official Synopsis: It's a hot summer on Amity Island, a small community whose main business is its beaches. When new Sheriff Martin Brody discovers the remains of a shark attack victim, his first inclination is to close the beaches to swimmers. This doesn't sit well with Mayor Larry Vaughn and several of the local businessmen. Brody backs down to his regret as that weekend a young boy is killed by the predator. The dead boy's mother puts out a bounty on the shark and Amity is soon swamped with amateur hunters and fisherman hoping to cash in on the reward. A local fisherman with much experience hunting sharks, Quint, offers to hunt down the creature for a hefty fee. Soon Quint, Brody and Matt Hooper from the Oceanographic Institute are at sea hunting the Great White shark. As Brody succinctly surmises after their first encounter with the creature, they're going to need a bigger boat. Official Synopsis: In the distant future, the crew of the commercial spaceship Nostromo are on their way home when they pick up a distress call from a distant moon. The crew are under obligation to investigate and the spaceship descends on the moon afterwards. After a rough landing, three crew members leave the spaceship to explore the area on the moon. At the same time as they discover a hive colony of some unknown creature, the ship's computer deciphers the message to be a warning, not a distress call. When one of the eggs is disturbed, the crew realizes that they are not alone on the spaceship and they must deal with the consequences. Official Synopsis: Dr. Frankenstein and his monster both turn out to be alive, not killed as previously believed. Dr. Frankenstein wants to get out of the evil experiment business, but when a mad scientist, Dr. Pretorius, kidnaps his wife, Dr. Frankenstein agrees to help him create a new creature, a woman, to be the companion of the monster. Official Synopsis: Signing a contract, Jack Torrance, a normal writer and former teacher agrees to take care of a hotel which has a long, violent past that puts everyone in the hotel in a nervous situation. While Jack slowly gets more violent and angry of his life, his son, Danny, tries to use a special talent, the "Shining", to inform the people outside about whatever that is going on in the hotel.